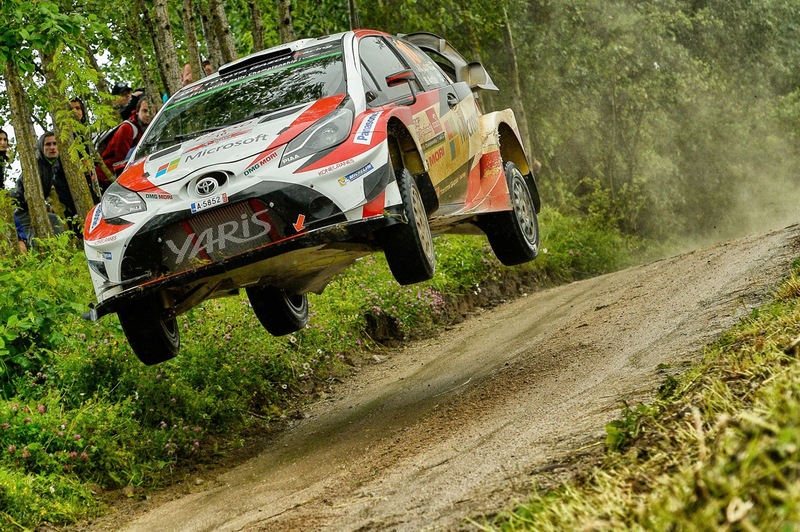 TOYOTA GAZOO Racing World Rally Team driver Jari-Matti Latvala has been firmly involved in a close lead battle on the first full day of action on Rally Poland. Setting the early pace on extremely wet, muddy and slippery stages in his Yaris WRC, Latvala led the field at midday service and ended the day third. Latvala made a great start to the day, going second fastest on the opening test before winning two stages in a row as he moved into the lead. In the afternoon, he slipped to third on the leaderboard as he struggled more in the deep ruts that formed on the second pass of the stages, but he is only 6.6 seconds off the lead. Juho Hänninen is also in the points in eighth place, despite also having trouble in the ruts during the afternoon. Esapekka Lappi was holding fifth place when he broke the front-right suspension of his car while taking a cut on the fourth stage. He was forced to stop and unfortunately the damage cannot be repaired so he will not restart tomorrow. 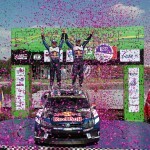 Rally Poland is notable for featuring some of the fastest roads in the World Rally Championship. Last year, it was the second-fastest rally of the season, behind only Rally Finland, with Andreas Mikkelsen winning Poland with an average speed of 116.6kph. The highest speeds were seen on the Swietajno stage, with Ott Tanak recording an average of 125.8kph on the first pass, and upping that to 128.1kph on the second run. 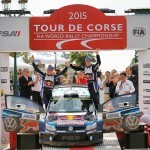 This year, speeds are expected to increase further with the new era of more extreme WRC cars. Tomorrow is the longest day of the rally in terms of competitive action, with a total of 144.74 kilometres, split between nine stages. The cars leave at 7:27 for a loop of four stages in the morning – the second of which is the longest of the event, the 21.24-kilometre Pozezdrze. These four stages are repeated after midday service in Mikolajki, and are followed by the third visit of the weekend to the Mikolajki Arena super special stage to end the day, with the first car back in service at 19:50.